WPSU-FM, listener-supported public radio, began as a student-run radio station (WDFM) in 1953, and since then has been transformed into a full-service PRI and NPR-affiliate station with more than 3,000 members. A part of Penn State Public Broadcasting, the station now provides 24-hours of quality programming each day for Central and Northern Pennsylvania. 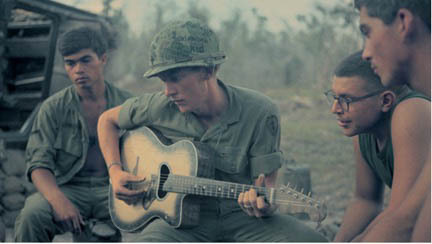 Time to Lay It Down ~ The Soundtrack of the Vietnam War is a two-part documentary special that explores the music created during the Vietnam War, which expressed the deep divisions in the U.S., and provided a life line for GIs in Vietnam, as well as a source of healing when they came home. Perfect accompaniment to the Ken Burns' 10-part series The Vietnam War broadcast starting September 17, 2017 and airing throughout fall 2017, as well for broadcast during Veterans and Memorial Days.